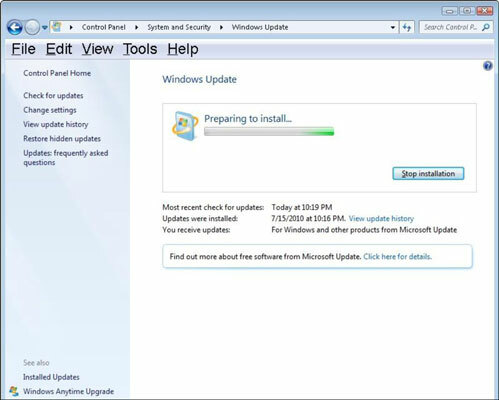 Windows connects to the Internet to check for updates. 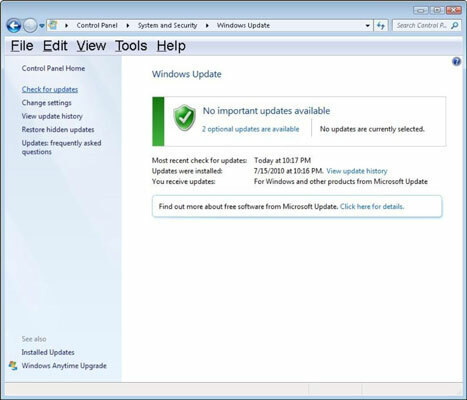 After checking for updates, Windows Update reports any important or optional updates that were found. 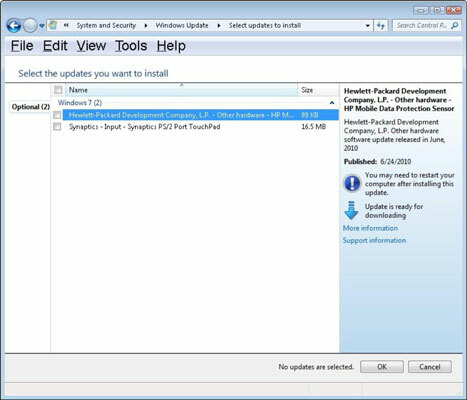 Click the link for any updates that you wish to install. 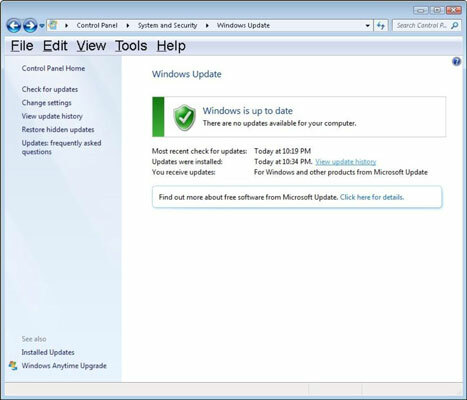 The Select Updates to Install window appears. You see two optional updates in this example. 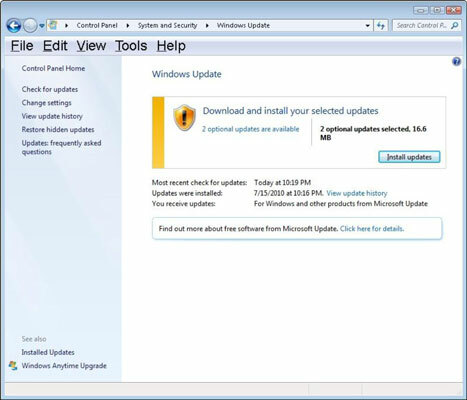 Select the updates that you want to install and click OK.
Windows downloads and installs the selected updates. You can stop the installation at any time by clicking Stop Installation. 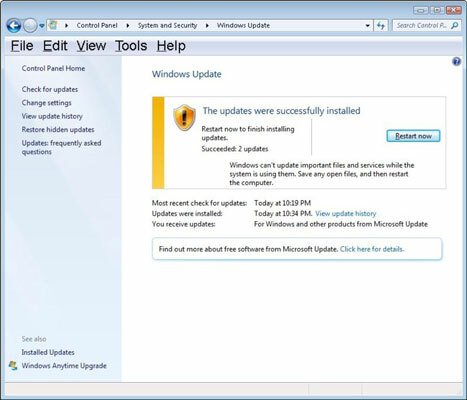 After the updates are downloaded and installed, Windows will prompt you if a restart is required. If a restart is required, click Restart Now. 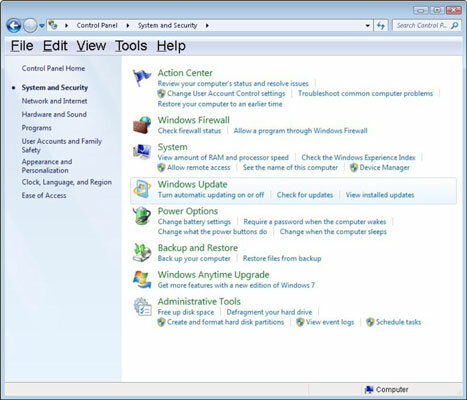 Your system restarts and Windows 7 completes the installation of the updates. 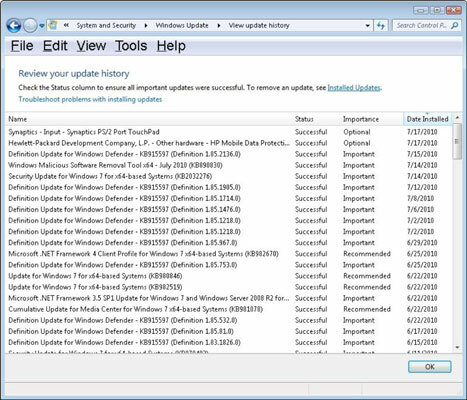 Click View Update History to see a log of all updates that have been applied to your computer. 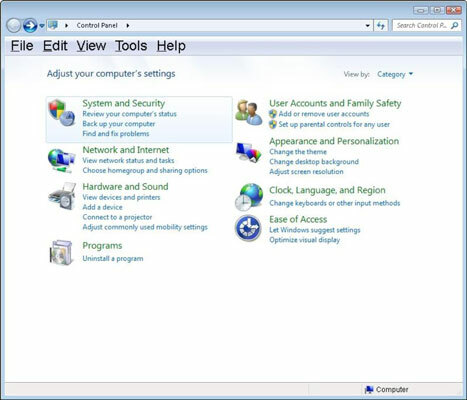 If you had to restart your computer in the previous step, follow Steps 1-3 to return to this screen. The View Update History window appears, with a log file that shows the name of any updates installed, the status, importance, and date installed. The View Update History window closes. If you have issues, you may consider removing the update.